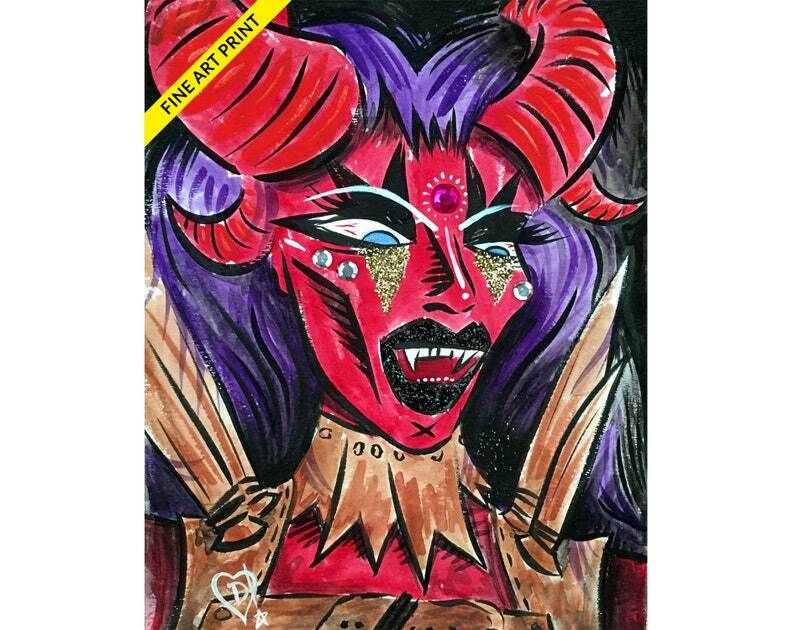 Take a look at this fantastical print of a painting by Disasterina! 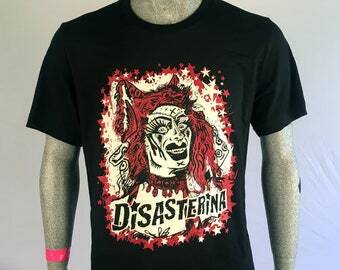 It is of Disasterina as a Tiefling which is her Dungeon Queenz (Dungeons and Dragons) character. The original art was done with ink and watercolor and glitter. The only way I could love this more is if it brought me a Philly Cheesesteak. High quality print of a fantastic work of art! Colors are beautiful and true, and I love how the sparkles and gems shine through. Shipping was quick and packed safely to present any damage in transit! I’m so happy with my purchase!